Symbolic rulers of Pisby, Neptune, Jupiter, culminate Venus, Hiron, in the imprisonment of Mercury. Each person is a microcosm; The universe is in miniature, and has a connection not only with egregors of different levels, but also directly with the Absolute, to which it has its duties, as well as certain rights, in particular, a certain freedom of will that no one can take away from it; he has his own unique role in the evolutionary program of the universe, which no one but him can fulfill, although the specific directions to which the aspects of the house will symbolically indicate will manifest themselves in the process of evolutionary development. Thus, the 12th house represents the direct participation of man in the evolutionary development of the universe, which at a certain level can be characterized as an impersonal service: to God, to higher forces, to the abstract ideal, to humanity as a whole, and so on. depending on the way people think about the world. Being day-time, 12 the house creates situations of service in which the external reality is accented more strongly than the "I", but renunciation of personal interests and certain victims are not obligatory at first: Absolutely asks a person for a favor and a direct need at the beginning (and long afterwards ) is absent, but with a systematic refusal to work out the 12th house, at some point (sometimes in the next incarnation) he is included imperatively, and then a person is in for a long, long-term incurable illness, a hospital bed, a prison sentence, Full loneliness, heavy meaningless work or other forced sacrifices. In the 12th house symbolically represents the connection of a person with his past and future incarnations, but this is a separate topic for specific studies, since, generally speaking, the entire horoscope is influenced by past lives, and its study (or lack thereof) affects the future; nevertheless, traditionally it is believed that the 12th house is the house of fulfillment of karmic debts and redemption of karmic crimes. In any case, the 12th house affirms the principle that no man's effort will be lost for evolution, and a service performed impersonally can be useless only for appearances. 12 house is a house of mystery: secret meaning, hidden meaning, action without the sign of an agent. On the 12th house there are secret enemies who need to be recognized for obvious machinations done by them, in particular, these are disguised lower subconscious programs (for example, unconscious selfishness or aggression). To fight with enemies in 12 houses as well as with open enemies (house 7) can not be, they should rather be taken to clean water, why they lose their power and disappear, dissolving in the rays of light. On the 12th house, things are going on which remain completely unknown to mankind or become his property only a long time later, in particular, the direct work of a person with egregor. At the same time, it may seem to everyone, including the person himself, that he is not realizing his hidden opportunities, although in reality this may not be so, just the average person is not able to understand and see the true meaning, the nature and size of his work in the subtle world. With the correct inclusion of the 12th house, a person can do very much, but it can be understood only by indirect signs, for example, his internal tension and concentration. The karmic meaning of the house is that one is taught to work blindfolded with bad instruments, along the way, instilling in him disinterestedness, inner calmness, the ability to understand one's inner rhythm and listen alone to the quiet voice of the Absolute. When he learns all this, he will be removed from the bandage, given perfect tools and a clear task, but he will be able to fulfill it only with the help of acquired experience, knowledge and skills. 12 the house brings up a person in connection with the rest of the world, developing in it charity, compassion (including enemies), the ability to disinterrently forgive and believe people without any grounds for it. 12 house is a house of mysticism, a direct connection with the Absolute. This is not only religious trances and ecstasy; for example, the ultimate certainty of the correctness of one's life comes precisely in quiet inner solitude (no matter how human life looks), when a sense of truth comes in the form of authentic knowledge that leaves no room for doubt. Here the person develops humility, spiritual endurance, aspiration, higher will, selflessness and self-denial. Under the 12th house, the relationship of man to his own, foreign and world sufferings is developing, so he is often associated with suffering and liberation from them: 12th house is the site of wound healing under the direct supervision of the Absolute. On the 12th house there is a mystical cognition of the world and the most cutting edge of scientific knowledge: here the person learns not what he set himself (the mental) goal to learn by tearing, so to speak, a mystery from nature (a position typical of the 3rd house), or completely new, that through him the Absolute wants to convey to people in connection with the increase of their evolutionary level. To this knowledge, a person has a completely different reverential attitude: he feels that he participates in the sacrament, and does not demand anything, but only listens and listens attentively, holding his breath and forgetting about distrust (it may come later). At the first level of elaboration of the 12th house, a person as much as he can, tries to ignore it and switch to others. The idea of ​​impersonal service is alien to him, since his ministry is always personally or indifferent (and self-serving), and the addressee is necessarily specific. He avoids solace and solitude in all kinds of forms, finding nothing good or pleasant in them, and only the victims see to the victim, and this is the only kind of house he admits. If the 12th house is included in its imperative version, and a person, for example, gets to a hospital bed or is forced to care for a seriously ill relative, he tries to create an illusory reality (dreams, fantasies, etc.) and go into it, forgetting about his actual circumstances, which seem terrible to him, especially in comparison with the rest of the world, free and happy. At this level, a person understands forgiveness, compassion, compassion and disinterested help only to himself, and if circumstances nevertheless compel her to carry out, she will acutely feel the utter senselessness of not only this work, but in general her existence in the world and him as a whole, and also the illusory nature of any efforts to improve it. Humility for this person is identically weak, and he considers the concepts of the strength of the spirit and higher will to be speculative and demagogic. His secret enemies he suspects exclusively in the outside world, mainly in the form of secret intriguers, ill-wishers and envious persons, waiting for the slightest of his oversights to pounce and drown. In hidden abilities and opportunities - their own and others' - this person does not believe, to the outcast and unhappy refers to disgust (the lower octave of compassion). His attitude to internal freedom as an alternative in the restriction of the external is well described by the edification of the executioner, who leads the scaffold to the abiding victim: "Freedom is a conscious necessity." At the second level of the study of the 12th house, a person still does not understand what an impersonal service is, but when he is forced to spend some (not too much) amount of his time and effort on an apparently (or almost) meaningless activity, he does not cause him to have a strong protest: he attributes them to the general imperfection of the world and is not inclined to pay too much emotional attention to them. In other words, a person brings a small amount of forced casualties without stress, but does not give them any positive value. To long periods of imprisonment (illness, compelled loneliness), a person is negative, but short imprisonment can welcome as an opportunity to disconnect from the world, lower the internal rhythm and relax; however, in loneliness it quickly becomes bored. In the case of great misfortunes of close people, he is capable of compassion, sometimes charity takes him by surprise, but usually for a short while. To charity, especially to enemies, is not inclined, and in general to this concept is skeptical, but sometimes, unexpectedly for himself and contrary to his views, can show it. This person understands that in some life situations, self-denial is necessary, sometimes someone must sacrifice himself to others, but he himself would very much not like to be in this place; However, people capable of selfless behavior and actions, he respects and admires the power of their spirit. He sees secret enemies only in the outer world and, supposing the actions of the hidden enemies directed against him, considers the most effective means of fighting countertrigue; humility seems to him an extreme means that should be used when all methods of struggle are exhausted, but this person evaluates positively the ability to put up with obvious defeat. To work is negative and opportunities (their own and others') admits, but abstractly and with a significant share of skepticism. At this level, the sensation of a person's mystical connection to the world is almost non-existent, but internal freedom as freedom of attitude toward what is happening around him is already to some extent understandable. At the third level of working out the 12th house is an impersonal service, i.e. a person's condition, when he does what needs to be done, without getting a reward and leaving no imprint of his personality on the results of his activities, has great significance in his life. At such times he feels his need not for concrete people or collectives, but for something incomparably higher, the person can not understand and express these sensations more precisely. Nevertheless, in many respects he positively regards the periods of forced imprisonment and loneliness, not only as opportunities for disconnecting from life's fuss, rest and rethinking his picture of the world, but also perceiving these states as creative when thoughts, feelings and feelings come to him extraneous origin, sometimes from very high planes of the subtle world. Perhaps, great mystical revelations do not come very often at this level; as soon as a person is imprisoned, he has a feeling of a subtle connection with the whole world, and some extraordinary and mysterious processes of interaction with his psyche and the subtle world begin to occur. At this level, a person is charitable and compassionate, but he is sufficiently attentive and perceptive and knows how to distinguish the suffering of the soul from the suffering of the ego and is not sentimental. He understands the need for sacrifices and sacrificial work and tries to make sacrifices to the extent that they are required of him, without resentment, humbly, and whenever possible joyfully, feeling in these moments a mystical union with the world. At this level, life's miseries are rethought, which people cease to deny, perceiving as an important kind of evolutionary work needed in certain areas and stages of evolution. This person knows that he is endowed with very large hidden opportunities, the key to which can be found only in confinement of the 12th house, and does not grumble when it becomes necessary to learn how to work with bad instruments - he feels that this is only the preparatory stage necessary to realize his true capabilities. He sees his secret enemies mainly in his subconscious and tries to see them; external intrigues and intrigues of enemies care much less. 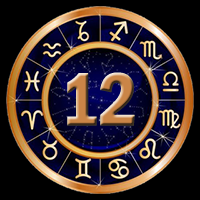 At the fourth level of elaboration of the 12th house, a person sees or guesses the impersonal will of the Absolute in many respects, taking place around it. He sees karma well and considers direct service to the Absolute as the natural and most creative part of one's (and another's) life. He sees victims and sacrifices, not only where they are visible to others, but also in many other moments of life, and understands how and when they should be brought, and most importantly, what role they play in the fate of people. Any karmic knot is unleashed as a result of the sacrifice, but it is possible not under any conditions and sometimes it takes a long time to prepare for it ... This person is characterized by a lack of external tension in 12 home situations, his loneliness and self-sacrifice do not bother anyone, although often serve as an example. Under the 12th house, he brings up humility in front of the will of the Absolute and spiritual restraint and forms the higher will, which then materializes under other houses; for him loneliness is a natural and creative state, the condition of a direct mystical connection with the Absolute and the Universe, and here he comprehends the very specific external problems and tasks that face the world and voluntarily takes part in them. This level is characterized by work directly in the egregore, and a weak imprint (the shadow of the house at home) of the individual remains there. This person has great mystical abilities, he can meditatively lift the student into the high planes of the subtle world and show him past incarnations and some features of the future, and above all, help him to see his hidden abilities and potential opportunities, which he may not even suspect. The situation at home is often associated with an inner sense of the victim's sacrifice. At a low level, a person is not inclined to sacrifice anything voluntarily, so his house, as a rule, is included in extreme circumstances, i.e. together with the 6th, for example, during a severe, life-threatening illness (his or her close relative, who has to be taken care of), in prison, etc. Weaker but imperative options for impersonal service are caring for infants or children during their illness, all night shifts, work in tracking services (from secret police and firefighters to sociology and meteorology) and in all other places where the person's personality as such is only an indirect interest in the case that he performs. Therefore, any true creativity goes largely under the 12th house, the main sign of which is the independence of the work from the artist at the stage of incarnation (usually the sequence of activation of the houses is the following: the 1st order of the Absolute, the 5th the thinking of the intention, the 6th the beginning of it incarnation, and again the 12th - the idea takes on an autonomous existence, finally incarnating, dictates the will of the artist). Only under the 12th house the cosmic creative principle embodied in each person can be realized: the 5th and 6th houses give great personal guidance and, consequently, limitations. Ordinary situations 12 houses of the lowest octave are secrets, cunning. lies and defaults, all sorts of intrigues and false positions, games with the subconscious and self, self-deceptions, mixing illusory ideas with real life. On an average level, this is a manifestation of pity, mercy, indulgence and disinterested concern for the neighbor, when circumstances require it, but more often 12th house is included together with the 1st, 5th or 7th, i.e. elements of personal self-affirmation, working out a role or direct hostility in relation to the object of care. At a high level, the 12th house denies any accentuated participation in worldly activities, which was previously carried out by going to the monastery or monastery: the monk retired, devoting himself to God, ie, was engaged, speaking in modern language, work directly in egregore. Now, with the opening of Chiron, culminating in the 12th house, the latter partly materializes, and service can be carried out in the world, but it requires special training, in particular, the development of a special ethic of behavior in contaminated living conditions. A strong 12th house gives a man who makes an impression "not of this world." So, in any case, it should be, but not necessarily a person immediately and painlessly takes for granted the transparent (and even more so, brick) wall that separates it from the rest of the world. In his life there will be many mystics, secrets and mysteries. In his youth, various throws are possible, attempts to become "like everyone else", and experience the same feelings and enthusiasm, rejoice and grieve together with others or, at least, for the same reasons. All this, however, turns out badly, although the imprisonment of the house works only in one direction, without letting a person into the world; there is no reverse restriction, and the world willingly goes to the person, trusts its secrets, griefs and sorrows, reveals the soul, waits for understanding, sympathy and support, being sure, for some reason, that all this will find. If this person has enough nobility and dedication, he can become a major psychologist or ordinary saint, wherever he lives and whoever works, and then he will strictly adhere to the principle "I do what he asks for the world and I do not expect anything in return. " Then, in time, he will feel the care and protection of the Absolute and understand that the kingdom of God is within him; if a person goes on the way of trying to compensate and forfeited worldly joys, he will receive their surrogates, and around him build a prison with transparent, but thick and distinctly tangible walls, into which he will try to plant his relatives. In his life, there will probably be a lot of seemingly meaningless work, loneliness and boredom, and if he does not learn to treat them with humility, he will not find in them a grain of creativity that in time can make him an unusually creative person. At a low level, it can be a strong person with a penchant for asceticism, but with much greater requirements for the asceticism of others; his motto: "If I do not regret myself in the work, then all the others should burn on it" (the weakness of the power industry gives escapist tendencies). The study gives true selflessness, selflessness, great and very original creativity, charity and unselfish love for everything. A weak 12th house gives a person who finds it difficult to concentrate and withdraw into himself, he, as a rule, does not even fully understand what it means. It is alien to the idea of ​​fanatical labor, total self-sacrifice, and the need for sacrifices, at least principled, is incomprehensible. With a strong 6th house, this person will assume that each labor must be paid in one way or another, and he needs to understand that this is not always the case. To the ideas of mercy and humility, he will treat calmly, leaving them to others, but if necessary he can disinterestedly help the sufferer if the latter strongly asks. This person will rarely be alone and it will not be easy for him to find positive and creative sides in him, he will quickly get bored and try to find a society or a distraction from himself. Secret enemies and intrigues will occupy a small place in his life, although if desired, with some diligence, he can achieve in this occupation quite a decent level. To the outcast, the wretched and the wretched, this person refers, in general, to indifference, as to the work of the special services, regarding them as an integral and attractive part of life; to detectives is often indifferent. He has certain difficulties with the true creative principle, exceeding the personality, but this only becomes clear at a sufficiently high evolutionary level, when the study of the 12th house becomes an internal necessity. A harmonious 12th house gives a person who feels great alone: ​​he will not be bored (in general boredom - one of the key words for the lowest octave of the 12th house) with himself and, perhaps, some interesting and unexpected ideas and thoughts will appear, and, in any case, he will find rest and rest. This person instinctively possesses a very important ability in life to bring the right victims in time, in particular, if the situation demands, he will, without hesitation, spend some of his forces and time on (outwardly) completely meaningless activity, unconsciously feeling that if not do it now, then it will be much worse. In general, it should be said that the culture of the victim in modern civilization is extremely low: it is believed that this is an attribute of wild tribes. In fact, victims (often unaware) are a constant companion of human life, and it is very important to bring them right. In particular, with a harmonious 12th house, a person will be tempted to bring them in insufficient quantity ("On you, God, what's wrong to me"), or with any personal benefit in mind. Especially common are false sacrifices in the form of seemingly selfless service to low egregores, depriving a person of external freedom, but leaving him completely passive and not engaged within himself. A typical example of an undeveloped harmonious 12th house is a housewife with several children, completely absorbed in the maintenance of family life (the slave of a family egregor), making an impression of a saint (at first glance, every minute of her life is a service, and generally a complete confinement), but really requiring constant sacrifices from those surrounding his family egregor and elevating him to the rank of the Absolute, which is a gross profanation, in religious terms - sacrilege. Harmonious 12 house also tempts too easy and superficial repentance and repentance - the most important moments of a person's spiritual life, when he sacrifices a fragment of the ego, i.e. one of the lower subconscious programs. Here, the harmonious aspects of the 12 houses make it possible either to simply loosen the sacrificial program for a while, or to separate from it (as if for a tick) an insignificant and inessential part for the ego; the motto of self-deception of this type: "you will not sin, you will not repent." I must say that the spiritual growth of a person is determined not by the number of repentances (in this incarnation they may not exist at all), but by the amount of effort aimed at working out their karmic program, which can take a wide variety of forms. The study of a harmonious 12 house gives a person the opportunity to bring grace to the world, awaken in people a high duty, conscience and evolutionary consciousness, to clarify and facilitate the sacrifices they make, in particular, to accept repentance. In the world, it can be a repairman or a doctor, but in any case a bright spiritual light will spread from this person. A stricken 12th house gives a man whose boredom and loneliness problem will be very acute. When the card is defeated in general, especially under the stressed planetary opposition of 12th house to the 6th, long-term serious illnesses, sometimes with hospitalization, are possible. Great difficulties will arise in this person with problems of selfless service, self-denial and humility. These states will be required of him in much larger quantities and intensities than the average for his people, and with the problem of mercy he will have to face much closer than he would like. The karmic task here is rather difficult, it is necessary to learn how to properly treat your victims and bring them when necessary and for someone who needs to. If the 12th house is stronger than the 6th, a person can be an ascetic fanatic, making a solid sacrifice (absorbing and surrounding) from his life, work and health, and here numerous mistakes are possible. The main signs of the correctness of the victim are the following: First, it must be brought at the request of the Absolute, and not the crystallized egregor, and the more so not be the product of man's self-activity; secondly, the victim must be impersonal (in particular, selfless) in its essence, although, of course, certain superficial echoing guides will accompany; thirdly, the victim must demand certain preliminary personal efforts of the person, so that he will have a real sense of its value; fourthly, it must be sincere (even if it is forced); and fifthly, it must be accepted by the Absolute, and then the person will feel that he has done everything right and for the next piece of his life is set off. This person can have many secret enemies, but the main ones are internal ones, i.e. hidden lower subconscious programs that need to be discovered, realized and transformed, which sometimes (and sometimes sometimes not) is sincere repentance and heartbreak. The problem of pity is very acute here, whether it should be tested for others or demanded for oneself, and the person must make sure that the second way is unpromising. A very important problem that arises in his path is the relationship to suffering and the development of non-attachment to them, at the first level, at least removing the blame for happier people from this circumstance. The study gives a very creative person who understands not only ordinary people, but also many rejected people, and can ignite the Divine light in the soul of the people of the most difficult destiny brought by the society to the victim or, on the contrary, the indifferent torturers of their people. Such a person will never seem to work too much: not good enough, yes. At the low level, on the contrary, there are continuous claims to the world and others; alcoholism, drugs, smoking, escapism.